Afro Media Group Chief Executive, Mr. Mukasa Richard a holder of BA Hons and a Master’s Degree with Specialization in Development Finance and Comparative Economics from the Institute for Social Development, School of Government (UWC), an Advanced Diploma in Business Management from Alison (UK) and several Advanced Certificates in Leadership, Strategic Management, Risk Management, Peace and Reconciliation from Ruhr University Bochum German and the University of the Western Cape Desmond Tutu Foundation Cape Town. Mr. Mukasa Richard a Ugandan-born South African is among a few African Executives highly trained in Parliamentary Budgeting and in Integrated Urban Transport Planning from the World Bank Institute for Development. He also undertook a Special Senior Executive Training in Managing Power Sector Reform and Regulation in Africa, a Course that is exclusively offered by the Management Programme in Infrastructure Reform and Regulation from UCT Graduate School of Business. Richard recently completed the Doctoral Research Training Program from the University Of Stellenbosch Business School in preparation for the PhD in Energy Infrastructure Planning. 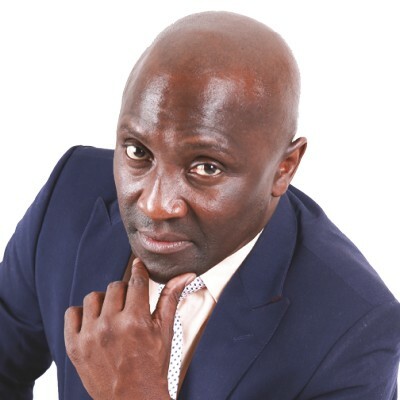 Prior to Co-founding the Afro Media Group, Mukasa Richard worked as a Research Assistant in the Clide Program, a Housing Research Project under the Institute for Social Development in the School of Government 2003. Richard received a prestigious Postgraduate DAAD scholarship for developing countries young professionals under the German-South African Student Exchange Program and while studying in German; Richard was given a Graduate Trainee internship in Institute for Development Research and Development Policy Ruhr University Bochum- Germany, 2004. Given his exposure in institutional administration on an international platform, Mr. Mukasa was later hired by the University of the Western Cape Central Administration department where he worked until 2010, when he left for Washington DC in United States from where he teamed up with a group of like-minded Africans in the United States of America, who had vested interest in investing in African Renewable Energy, Agriculture and Media. 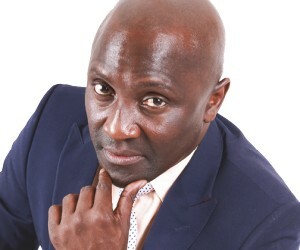 In the course of understanding the African Business terrain, Afro Media Group Chief Executive Officer Mr. Mukasa Richard participated in several High Level Global Development Finance and Investment Round Table Discussions on issues relating to planning strategic Energy, Agriculture, ICT and Infrastructure investments in Africa. Having been part of the United States Council for Development Finance Agencies Summit in Washington DC in 2012; the Asian Financial Forum (AFF) in 2014 Hong Kong; the BRICS New Development Bank Round table discussion UCT Graduate School of Business; Future Energy Uganda 2017; Western Cape Provincial Consultative Conference on the National Integrated ICT Policy Green 2014 and in 2016, on the Invitation of the Former President Barack Obama Global Future Leaders Initiative, Afro Media CEO Mr. Mukasa Richard joined more than 1,000 global entrepreneurs, investors, and Senior Government Officials in Silicon Valley California, for the Global Entrepreneurship Summit to forge new partnerships around some of world’s most intractable challenges — including poverty, hunger, and lack of access to electricity and infrastructure. After a series of strategy meetings in New York, Cape Town, Kampala, Dubai, Shanghai, Atlanta, London and Johannesburg, with voted key decision architects; Cultural leaders; Community Representatives, and the inspiration we got from JT Foxx the world’s No. 1 Wealth Coach, my Partner and Afro Media co-founding Director Mr. Kasekende Sandy Hunnington and I decided to invest part of our family resources to start Afro Media Group, a company that provide cost-effective Out Of Home (OOH) digital advertisement infrastructure network that is carefully designed for SMMEs that seeks to increase their tactical brand awareness and reach in key African economic hubs, using Afro Media services offering ranging from Digital Roadside Billboards, Interactive transit panels, Street lighting pole panels, Mall and instore dynamic media, In-taxis Panels and Bus Screens that are strategically positioned across South Africa. In the present global economic environment, Mr. Mukasa Richard strongly argue the business community who need to do business in Sub-Saharan Africa to quickly seek Afro Media services in expanding there Brand’s awareness campaigns and reach in the Continent that so much still needs to know your Brand presence within their communities and households. Afro Media different range of formats lends themselves to different objectives that facilitates engagement opportunities and drive mobile search that efficiently increase ROI on every Rand spent. Afro Media Billboards are carefully located to offer strategic relevance, reduce wastage by use of geo-targeting, GRP & demographic R&F measurements to maintain their Brand’s top-of-mind awareness in a most tangible and cost effective way possible to increase reach and influence product buying decisions. The Afro Media endeavors to build a good brand based on globally acceptable and continentally sustainable business practices and improve its environmental and social stewardship. Afro Media Group business model is committed to providing all SARS compliant businesses with access to place their service offerings on our strategically positioned infrastructure across Johannesburg, Pretoria, Cape Town, Durban and later in Bujumbura, Dar es Salaam, Dodoma, Jinja, Juba, Kampala, Kigali, Kisumu, Nairobi, Mbarara and some parts of Butambala. Richard’s unconditional passion for his growth and the development of those around him, can easily be traced to his life’s journey that saw him live, study, work and play in more than 16 big and small economies, with different cultures and yet, he largely remain Influenced by the collective community wisdom from African past and present Elders, whose patriotic guidance provided him the serenity to believe that with an appropriate plan, effort and patience, everything is possible. I have great respect for all our people from all works of life, I recognise focused youth, appreciate committed peers, and honor elders with maximum respect as expected by my mentors laid to rest in the African hills and mountain side from Cairo, to Cape and ofcourse Butambala, the Cradle of African acumen the land where Ubuntu or obuntu-bulamu is engraved in everyone’s life style irrespective of one’s race, tribe, religion gender, creed and political affiliation. We, in the present day Africa, are fortunate enough to have lived in times of choices. Afro Media Group knows it well that none of us, young or old, acting alone can achieve success; we should therefore seek to work in partnership to improve our nation’s business environment in which we all operate. As progressive business owners, it is in our best interest to work together in partnership for Inclusive Growth and Shared Prosperity, with the expectation that, through our collective effort, we will be able to make significant strides towards addressing the challenges and opportunities that face our continent Political and Business environment. Multiple global systems have prepared Mr. Mukasa Richard as one of the few highly motivated individuals that have demonstrated great potential as one of the future Global shapers selected on merit for his leadership, achievements and commitment to make a difference in issues relating to Youth Economic Development through innovations and entrepreneurship. He insists that “Africa is increasingly becoming aware that solutions to our continental challenges, must decisively engage the youth at all levels of national systems planning. Economic development in Africa is possible if only governments and the business community start working towards linking the strength of the youth with the wisdom and capacity of the retired think-tanks to sustainably plan for and utilize our resources for a better future for us all and Afro Media Group is at the forefront of first and foremost helping African SMMEs to access its strategically positioned multimedia infrastructure to show case there goods and services to the general continental public and secondly through Renewable Energy Technologies help to Power Africa especially communities in rural country-side across Africa. We must encourage African SMMEs and start-ups to engage in full-bodied business discussions in order to develop concrete actions so that as a coalition of young entrepreneurs, we collectively provide an alternative to the status quo and ensure that we are in a position to benefit from the opportunities presented by our generations Fourth Industrial Revolution, that will assist us in building a brighter, sustainable economic development of our people, for God and our continent, Africa. I thank you.